The Catechetical Church - Good Shepherd L.C. In the Preface to his Large Catechism, Luther writes that there is “a minimum of knowledge that every Christian should have.” The 'minimum knowledge' includes the 10 Commandments, Apostles Creed, Lord's Prayer, Holy Baptism, The Keys and Confession, and the Lord's Supper. 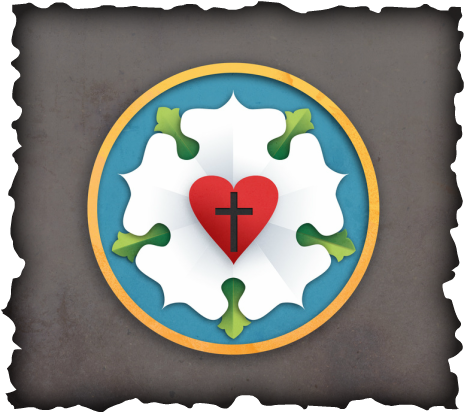 Luther writes, “Whoever lacks this knowledge cannot be counted among Christians nor be admitted to the sacraments.” (This is part of the reason we ask that our youth attend three years of Confirmation or Catechism Class.) Luther compares someone who calls himself a Christian but doesn’t know ‘the minimum,’ to someone who calls himself a craftsman but doesn't know the rules and techniques of his craft (e.g., A carpenter who doesn't know what a hammer or saw are or how to use them). The proper place for instruction in the 'minimums' is in the home—your home. Luther wrote his Small Catechism to help the head of the house instruct his family in the 'minimums' of the Christian faith. Whoever the head of your family in these matters might be, we would like to use these summer Sundays for instruction in the 10 Commandments here, with the intent that you would continue the discussion in your own family during the week—even if that’s just you. The insert in the bulletin each Sunday is to help you bring what we do here into your home during the week. Luther writes, “It is the duty of every family head to examine his children and household members at least once a week to see what they have learned of the Catechism.” So, as the head of the family in this house, I’m going to ask you to memorize the particular Commandment of the Week and the explanation from Luther’s Small Catechism and invite you (and if applicable, your family) to recite it from memory on the following Sunday. Luther spends more time on the First Commandment than on any other portion of the Catechism, explaining how essential it is to know, trust, and believe int eh true God and to let nothing take His place. He was convinced that where this commandment was being kept, all other commandments would follow. A right relationship with God produces right relationships with fellow human beings. The First Commandment instructs our heart toward God. This commandment guides our lips. Using God's name to cover up lies or spread falsehood is a great evil and sin, and it happens in many ways in life. There is no greater sin against the Second Commandment than using God's name to preach, teach, and spread false doctrine. Luther explains how to use God's name properly and how to take an oath without sin. By faith, our hearts and our mouths honor God by confessing Him and His Word purely. Luther recommends beginning and ending each day, and each meal, by making the sign of the cross and commending ourselves to God. Making the sign of the cross is not a "Roman Catholic" practice, but has its roots int eh earliest years of the Church. It is a visible way to remind ourselves whose we are through our baptisms and how we have been redeemed by the cross of Jesus Christ. In his Large Catechism, Luther begins by defining "holy day" and by explaining how by Christ's time the true understanding of the Sabbath had been corrupted. Because the Third Commandment describes Jewish practice int eh Old Testament, Luther plainly states that the external form of this law does not apply to Christians in the New Testament. It is an error to say that Sunday is the New Testament Sabbath. However, the internal form of this command still applies to Christians today. Christians should regularly devote themselves to a day when they can hear and learn God's Word, so that they do not despise it. For this reason Luther commends worship on Sunday for the sake of good order. In this sense, every day for the Christian should be a "holy day" consecrated by God's Word. Luther presents a clever play on words when he suggests there is only one "holy thing." The German word for "holy things" (Heiligtum) was often used to refer to relics, items believed to have belonged to the apostles and other saints. Yet Luther says the only true "holy thing" is God's Word, which consecrates all things and apart from which nothing we do or say is holy. Commandments four through ten describe relationships with our fellow humans Here Luther's understanding of "vocation" is apparent. Vocation comes from the Latin vocare, meaning "to call." God calls everyone to certain roles, or stations, in life. In this commandment, Luther describes our duty before God to honor father and mother, that is, to respect authority. God instituted all forms of authority as an extension of parental authority, for our good. There are various parental authorities, or "fathers," in our lives, including pastors, teachers, and government officials. Another insight by Luther is about the life of good works to which Christians are called. We should not regard "Church work" as more holy than the other things in life that we routinely do. Rather, all callings and stations in life serve God and are are opportunities for us to obey God's commandments and to serve our neighbor. The key observation Luther offers is this: faith is what makes a person holy. Faith alone. Good works serve God by serving other people. Luther distinguishes between spiritual and civil government and authority, which we commonly refer to as the doctrine of the two kingdoms. God takes care of us in the Church through the ministry of the Word and Sacraments, the Means of Grace. In our homes he cares for us through our parents. In the world, he cares for us by means of civil government. God gives to the civil government the authority to punish criminals and, when necessary, to execute them. The spiritual meaning of this commandment is the the are not to "kill" our neighbor in our hearts, with our thoughts, with our words, or with our hands. No one has the right, on his or her own authority, to murder another person. Only God may take a human life, and he entrusts this authority to civil rulers. So Christians can in good conscience wage war and punish and execute criminals under rightful government authority. Luther goes on to explain that we break the Fifth Commandment not only by acting against it, but also when we fail to protect our neighbor. Luther had been married for almost four years when he wrote the Large Catechism. His former life as a monk makes his comments on the Sixth Commandment all the more interesting and powerful. Luther keenly discerns that chastity is not a matter of vowing to live a celibate life, but of honoring God and one's spouse with one's whole being: thoughts, words, and actions. Marriage should be cherished and honored as a divine estate. God created this institution before all others and blessed it above all the rest; and since he brings children into the world through it, he provides all other estates for its support and benefit. Luther condemns forced celibacy within the Roman Church, but recognizes that God does exempt some from married life, either because they are unsuited to it or because they possess the supernatural gift of chastity. The Sixth Commandment releases those who have taken a vow of chastity but who have not been given this supernatural gift. For Luther, God intended marriage not only to prevent sin, but also as a means by which husbands and wives love and cherish each other. Marriage is a precious good work far superior to the contrived spiritual estates of monks and nuns. This commandment was given to protect one's name and reputation. Communicating in ways that do not uphold our neighbor's name and reputation break this commandment. The greatest violators are false preachers who, by their false doctrine, speak ill of God and his name. If we are aware of something negative about our neighbor, but have no authority to act, we should remain silent and not speak of it. However, when the proper authorities call upon us to speak to the matter, we will do so honestly. Also, if we are aware of something that requires the attention of public authorities, we will share it with them. Luther clearly states that civil magistrates, pastors, and parents must act upon hearing of something requiring their attention. Luther carefully distinguishes between secret sins and open, public sins. Secret sins should not be made public. However, when the error is open we have every right, even the duty, to speak publicly about it and to testify against the person involved. Speaking publicly about another person's public error or sin is not bearing false witness, nor is it a violation of Matthew 18. In his Large Catechism, Luther concludes that putting "the best construction on everything" is a fine and noble virtue. Luther says that God gave these two commandments to ensure his people knew that stealing is not only the physical act of taking unjustly from another, but is also the desiring of something that is not ours, such as our neighbor's wife, servant's or any property belonging to our neighbor. These commandments are not broken with the hand or the mouth but with the heart. They remind people who consider themselves virtuous that they too, by nature, sin. Toward the end of his explanation in the Large Catechism, Luther offers a powerful and critical theological insight: All the commandments constantly accuse us of sin and reveal to us where we stand under the Law in God's eyes–guilty! This is the chief purpose of the Law, to show us our sin. The Ten Commandments always accuse. That is their chief use. They also serve as a rough curb against gross outbreaks of sin. But they also function as the "true fountain" from which all good works must spring. We never have to try to invent or create works to do that are pleasing to God or go beyond what he has given us. In these Ten Commandments we have the guide we need to understand what truly pleases God. Some of Luther's most powerful remarks about the difference between God's Ten Commandments and man-made Church rules are found here. Luther thunders against the pomposity and false teaching that certain "Church works" are better in God's eyes than the simple, humble, lowly works of common life, such as a young girl taking care of a little child. In his Large Catechism, Luther provides a brief summary of the commandments and again shows how the First Commandment is the fountain for all the rest. God has given us a great treasure by giving us the Ten Commandments.